Reference Electrodes are used for monitoring structure electrolyte potentials to check that structure is receiving adequate protection. 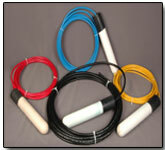 Electrodes can be portable or fixed depending upon the of type of structure and maintenance requirements. GOLCONDA Corrosion Control (P) Ltd. offers the following range in both portable and permanent. Special construction is available on request.